Lenovo has launched a raft of new gadgets, including several laptops, monitor and an intriguing modular accessory system. Lenovo's six laptops unveiled at CES 2015 including the ThinkPad X1 Carbon and the ThinkPad X250. The ThinkPad X1 Carbon is a 14 inch performance ultrabook and comes with fifth generation Intel processors, a super-bright full HD screen, solid state drive and a carbon-forged case. According to Lenovo, the X1 Carbon weights grams. In the US, it will set you back $1,249 (£820) for the base model. No price has been announced for the UK yet. It is expected to launch later this month. Again, there has been no word on a UK launch date. The ThinkPad X250 is Lenovo's slightly smaller ultra-thin laptop. At 12.5-inches it's still a decent size to work from, while being mobile. And its definitely aimed at the mobile working weighing just grams and coming with a unique dual-battery system called Power Bridge. According to Lenovo, it's due to launch in the US in February for $1,149 (£755). Again, there's no word on UK launch details. The other four laptops announced by Lenovo are all part of its 450 series. 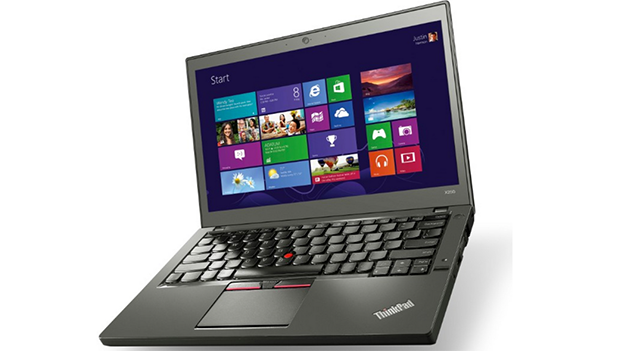 The T450s is a 14-inch laptop that features Lenovo's new Power Bridge technology. Meanwhile, the T450 is pretty much the same laptop as the T450s, but it is 1mm thicker and 340 grams heavier. The L450 is another 14-inch laptop. However, unlike the other three laptops, the L450 doesn't have a touchscreen display. All of the laptops will be available next month. Lenovo also unveiled a monitor called the ThinkVision X24. It's an ultra-thin monitor – at just 7.5mm. It comes with a 23.8-inch display with IPS technology and a 178-degree viewing angle. It launches in April and will cost $249 (£164) in the US. Finally, Lenovo also unveiled a modular system. It comes with four modules, including a Bluetooth speaker, 10,000mAh power bank, 4G wireless access point and a 1TB hard drive. All four can be linked together to share the same power and data.